Twickenham Stadium has agreed a partnership with the ICE Group that saw the venue sponsor the 2018 awards and bring the business closer to the influential community. The announcement follows the 4th ICEAwards last week, where over 200 corporate event professionals met for the annual awards and conference. As well as the venue's support for the awards and day time educational programme, ICEDay, the ICE Group will be supporting the launch of Twickenham's much anticipated East Stand development, which launches in the autumn. The agreement will see a series of research and focus group led activities at the stadium within the ICE community that will lead the way in new thinking towards less conventional meetings and events. "It was brilliant to have Twickenham's support at the ICEAwards, they are a great brand and we're delighted to have them on board," commented Anita Howard, Founder & CEO of the ICE Group. "We're also really excited about the new East Stand, it's genuinely unique and presents an amazing opportunity for corporate and in-house event organisers to do something completely different - something we really advocate at ICE." 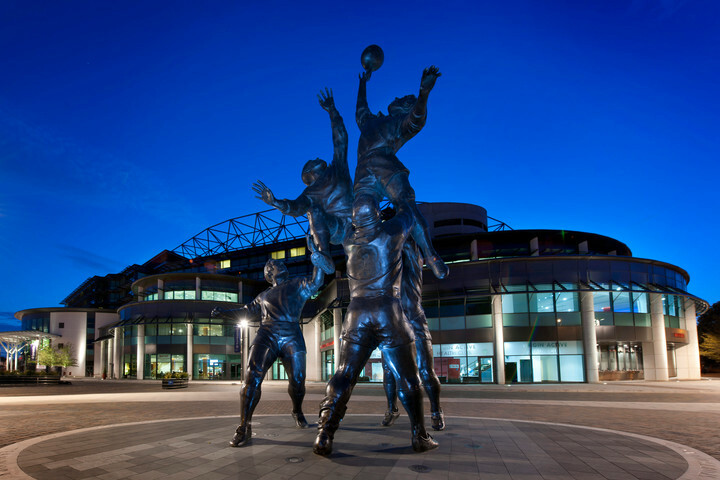 "ICE have an amazing community and one that we're really keen to (engage with) on a regular basis," commented Johanna Byrane, Head of Business Development for Twickenham Stadium's event arm of the business. "Many of our valued clients are already members and have encouraged us to share details of the new East Stand, as well as the rest of the venue, with the community. It's a great opportunity for us all."